Everyone loves to save money, especially after the excesses of the Holidays and when New Year’s resolutions start cropping up in all areas of our lives. However, in the wrap industry, you should be wary of the allure of lower prices and money saved. We have seen advertisements from vinyl distributors sporting incredibly low prices—one offering chrome vinyl for only $88 per roll. However, quality chrome wrap film costs closer to $2,000 per roll. This price difference may scare customers—why is one so much cheaper than the other? 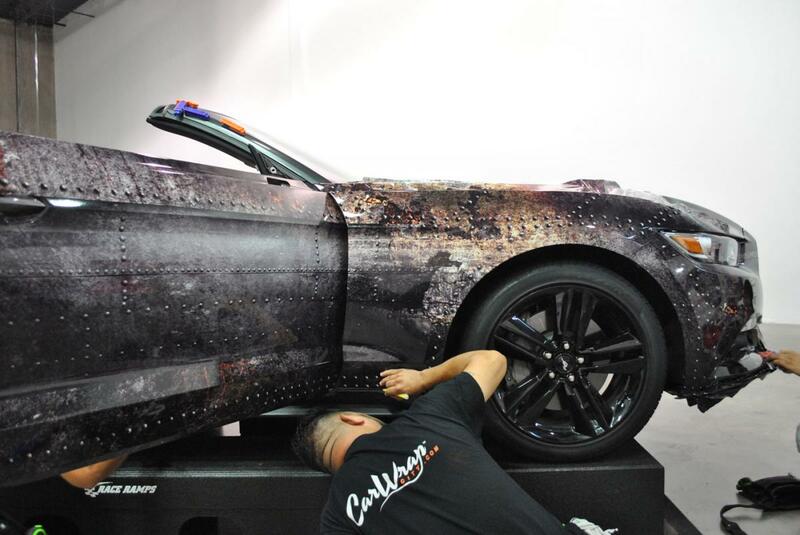 As a result, it may cause them to shy away from purchasing a wrap. But ultimately, the price difference boils down to quality and durability. You get what you pay for. Companies may charge less for their services, but they will not withstand time like a quality vinyl and installation will. Cutting corners on prices can result in a poor wrap—the material bubbling, peeling, or just plain looking bad. There are also potential damages to your car itself, including scratches and damages to the body and paint. Often, choosing the cheaper materials will cost you more in the long term due to the cost of replacement and re-installation of the vinyl. And the company benefits from this as well! If they can hook you with low prices, then they can also keep you coming back (and paying!) for repairs and rewraps. You may even get frustrated with your installer, and seek out another, better company, and end up paying the prices you tried to avoid in the first place. As a result, you may find yourself out of even more money than if you had sought out the highest quality wrap experience initially. These issues hurt not just customers, but also the industry as a whole. With horror stories circulating of cheap vinyl and poor installation, people may begin to shy away from wrapping their vehicles. The wrap industry as a whole can lose money, clients, followers, and credibility, to name a few things. So overall, while it may seem tempting to pursue less expensive options when it comes to wrapping your car, it is always best to pursue highest quality over lowest prices. In the long run, you will save both time and money.